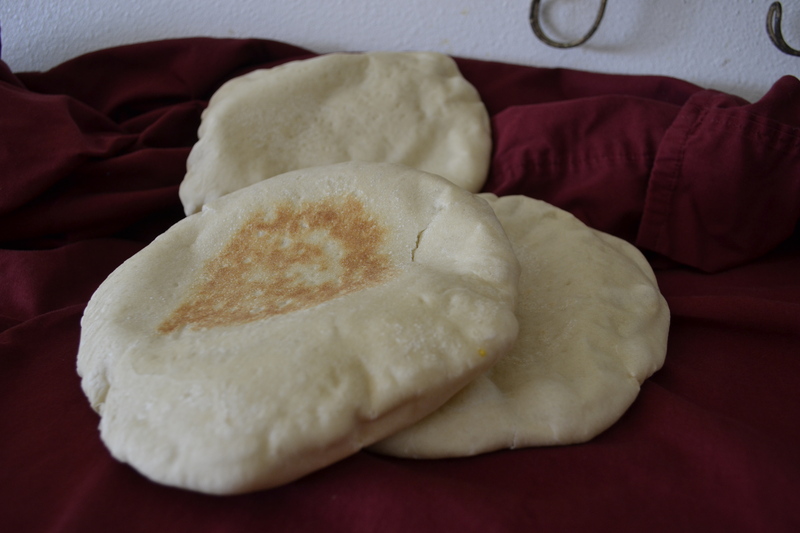 When we lived in Seattle I started making Arabic bread each week in order to perfect it and have a supply on hand. I had several lady friends who lived near me, we traded recipes and exchanged ideas on making various dishes. 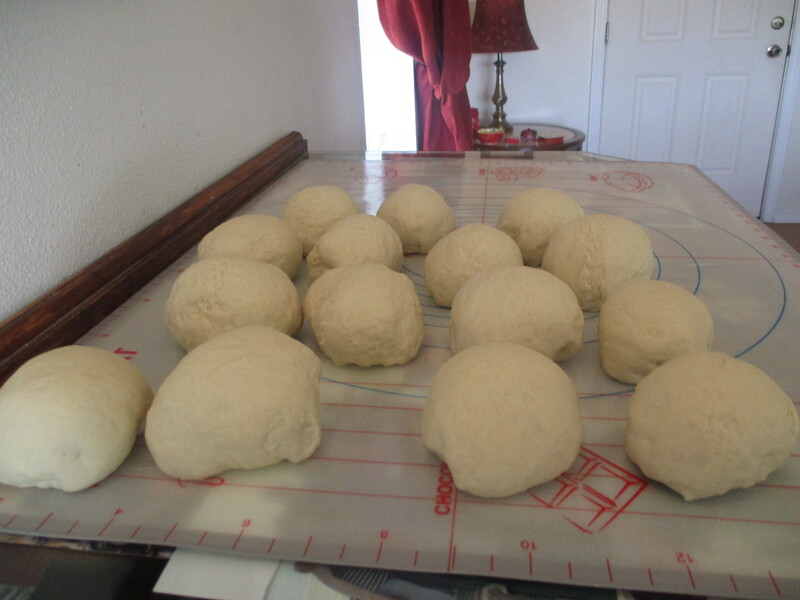 We would run over to each others houses if we had good results from our bread, discuss the texture of the dough and what had made this particular batch successful! My first experience with making bread was quite different than those days in Seattle. I had purchased a book of Middle Eastern type recipes and each time he would come home he would look at the dish and try to figure out what it was! I would proudly tell him the name in my kindergarten Arabic and he would simply and warmly smile saying it looked interesting! I soon learned that this book was not very authentic and didn’t offer the needed tips. I had heard stories of his mother and aunts making bread, yogurt and everything else in between, but never going to buy food from the nearby shops. I wanted to be like them and make a warm and happy home filled with the aromas of home cooked meals. He made the suggestion that I take my bread to some real Arab ladies and get their advice. I was embarrassed by this but agreed. I was invited to meet a new lady at her house along with several other women, all from different Arab countries. I was new to Arab culture and felt a bit out of place, but as the night wore on and I got to know these lovely ladies I felt at home. I decided to take out my little bag that held a single piece of Arabic bread. I explained that I needed their help in making the perfect bread. They picked up the bread, turned it over and then muttered to each other in Arabic. The look on their faces was one of curiosity and alarm. Each asked in turn, where this bread came from. I told them I made it, they said who made it? where did you get it? Did you put it in the oven? what did you make it out of? Is this made with flour? It was then that I realized times had changed from one generation to the next. When making Arabic bread use extreme caution. The oven needs to be at a high temperature, the bread is also very hot when removing it from the oven! When I made bread I kept my little children out of the kitchen! Do not let little hands grab a piece of hot bread!! It is very hot! As with everything I make, I put some of this, a little of that. I have never measured the ingredients for Arabic bread. This time I did and I even sent the recipe to my good friend Abigail, a wonderful home cook and nursing student. She graciously agreed to try this recipe and tell me how it went. So I went over it again and have added some more tips. According to Abigail, this bread was fairly easy if you are accustomed to making bread. But again you must use your knowledge of bread making because while I measured, this is still an estimate. Put yeast in 1 cup of very warm water with a pinch of sugar and stir, let it activate and puff, a couple minutes. 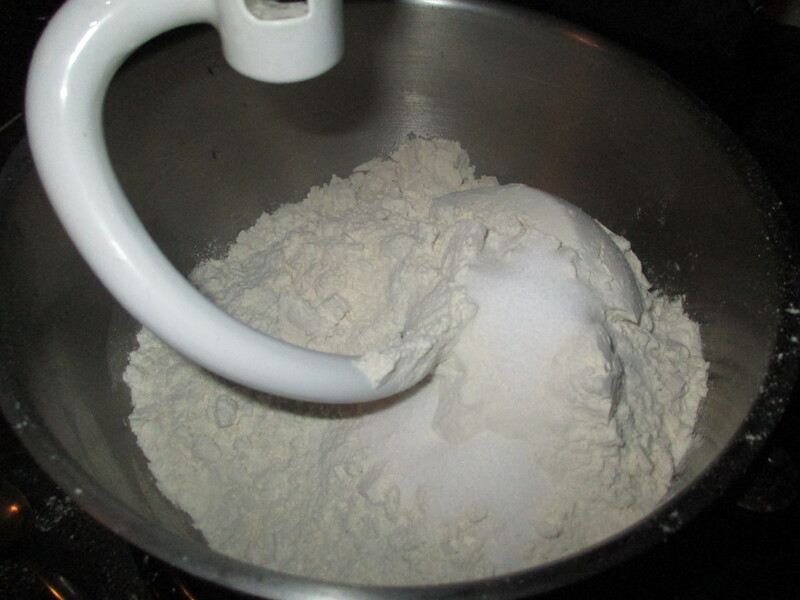 Put the flour, salt and olive oil in a mixing bowl , add water mixed with yeast and the other 1 1/2 cups of water. 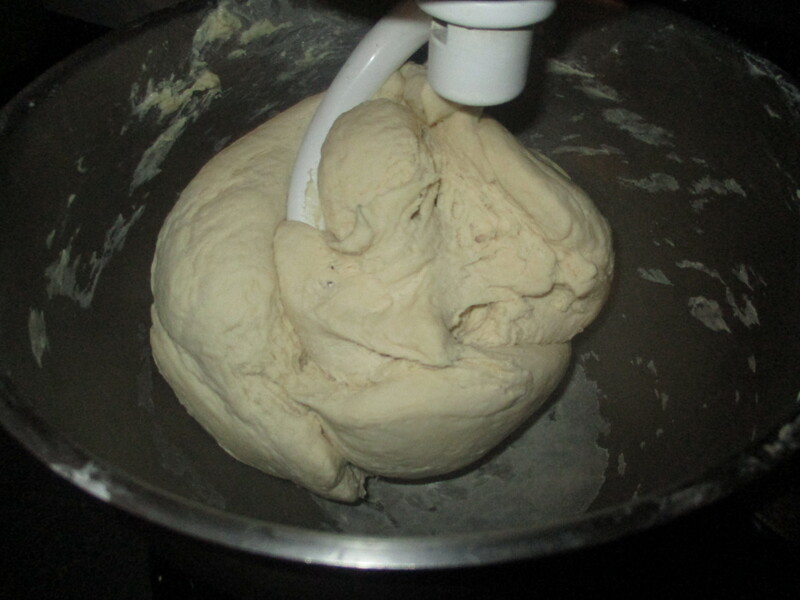 Start the dough mixing as you would with any other dough. 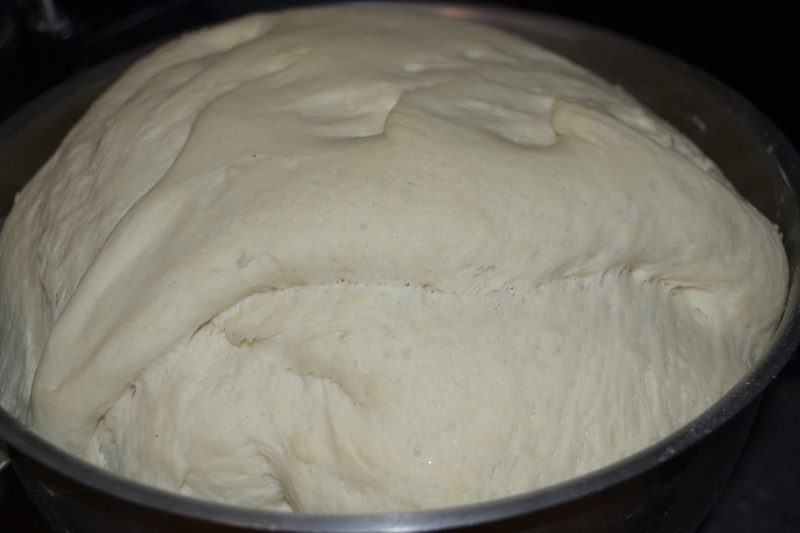 This dough should be slightly sticky but also workable! 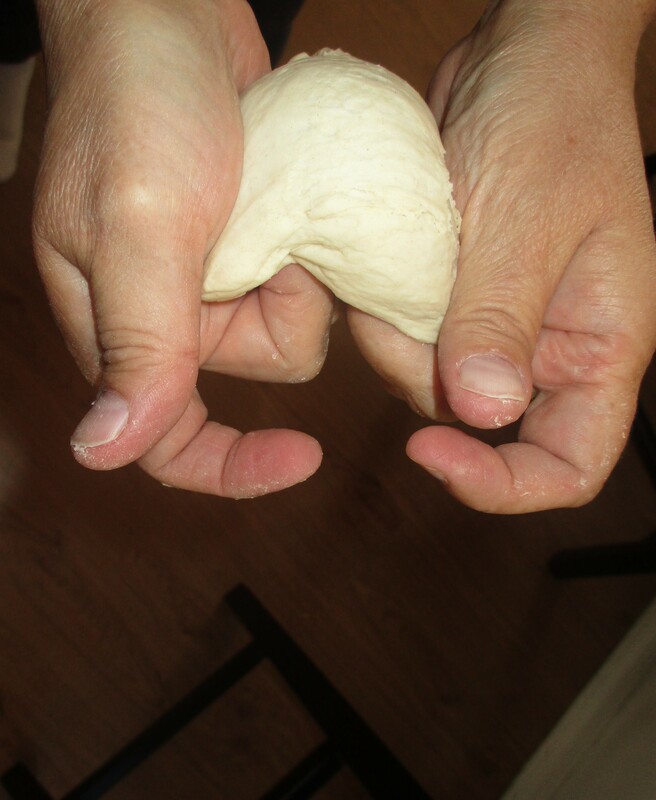 Let the dough knead for several minutes until it comes together. 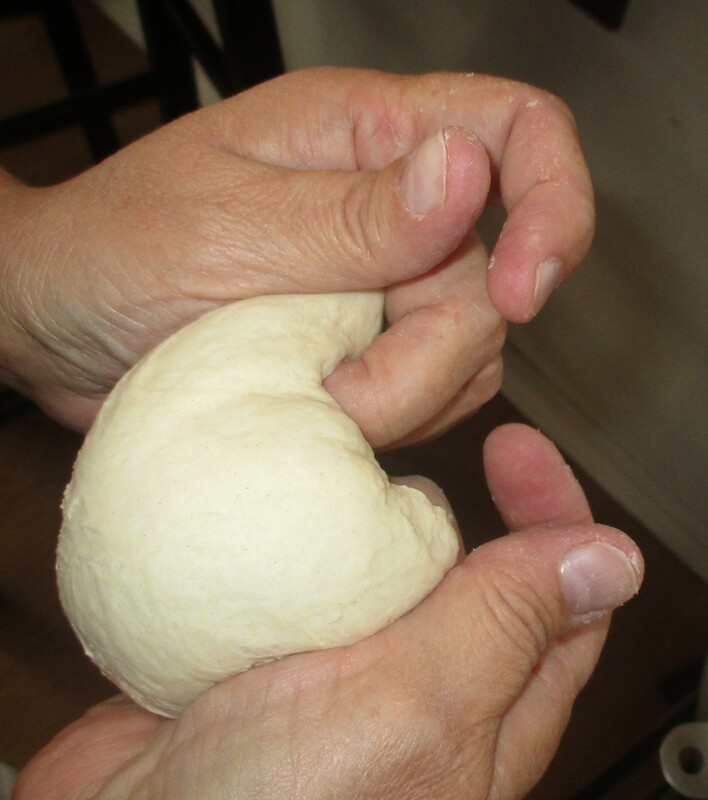 Keep kneading either by hand or in your mixer until dough is ready. 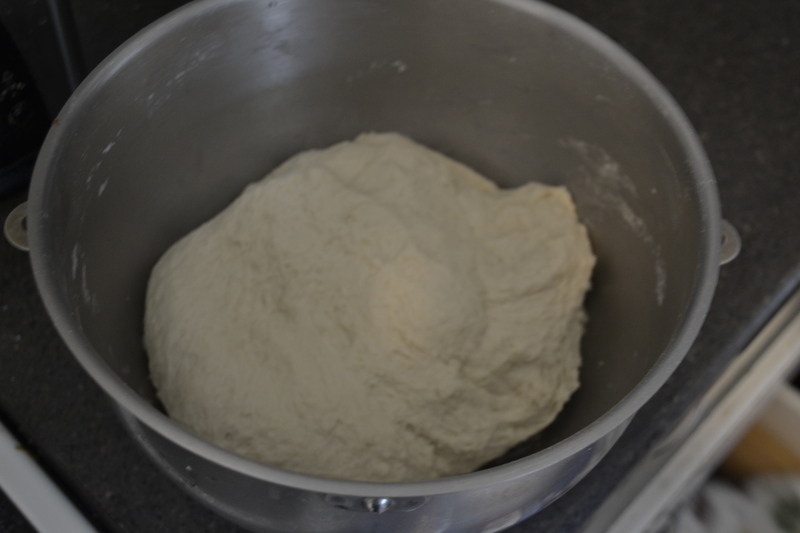 The dough should be soft but you should also be able to work with it, if it is too sticky you can add flour, one spoon at a time in order to make it more workable. Abigail said she added 5 extra spoons of flour. 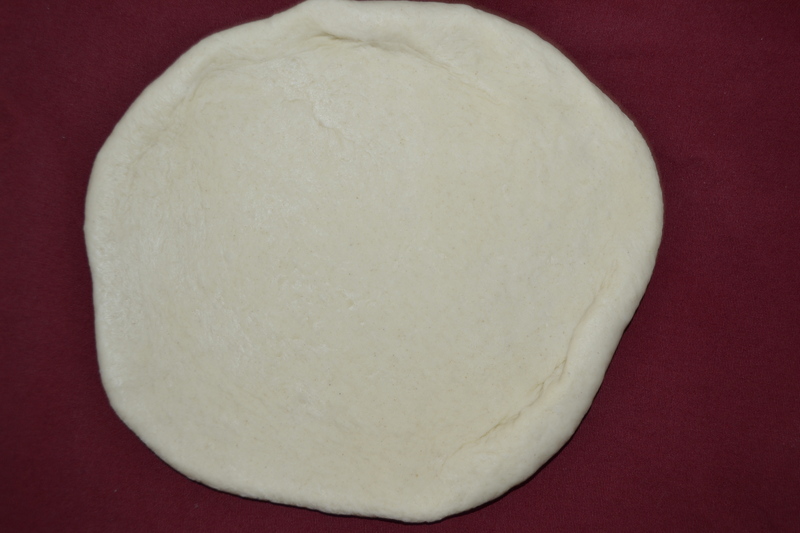 Cover and let dough double, punch dough down. 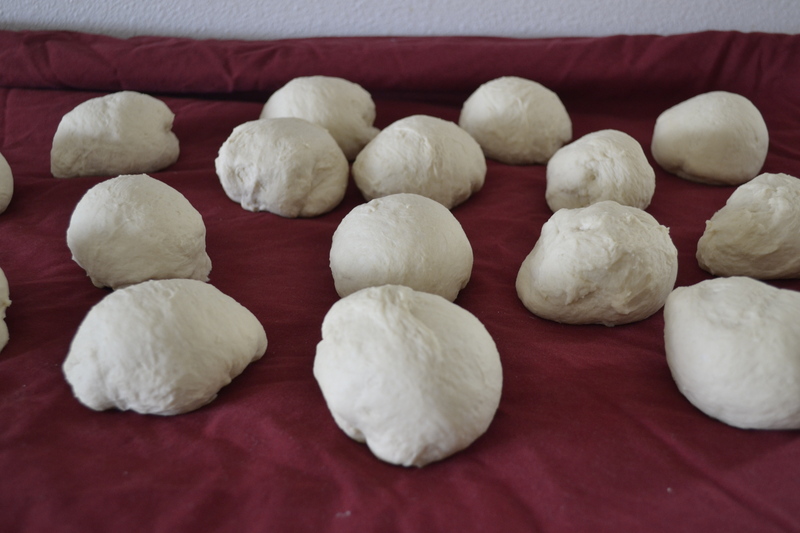 Place a clean cloth on a flat surface and roll dough into balls. Use a motion of tucking it under and pinching. 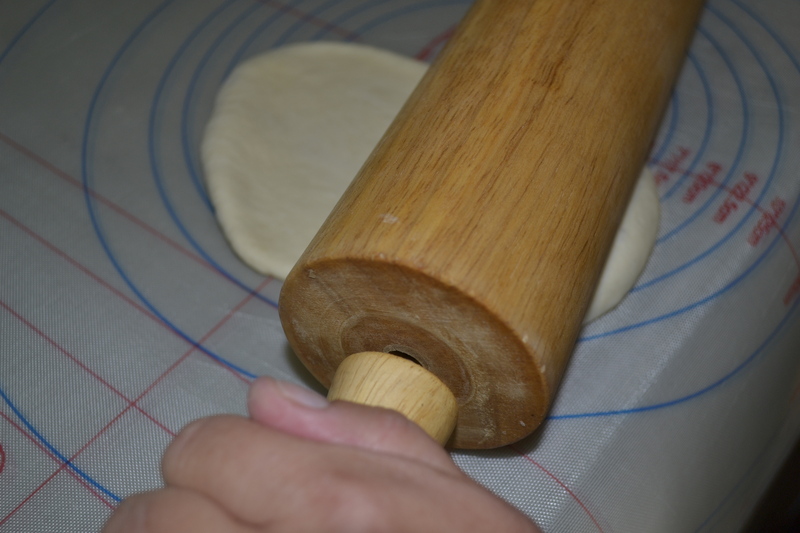 Use a rolling pin and roll it out, turn it over and roll, it’s all about the rolling!! rolling it until it has spread out and is even. So, not just a quick roll on each side! Now, cover and let rest again for maybe 15-20 minutes. Picture below is in the middle of rolling, this was rolled again several times. The oven needs to be super hot–450 degrees. Use a heavy duty baking pan. Now it is hot! Use extreme caution when placing bread in and when turning bread! 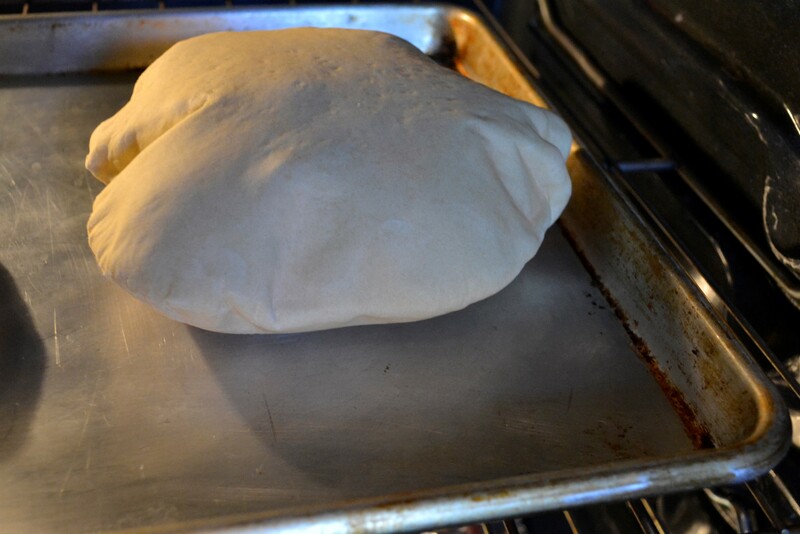 Place the baking sheet in the oven and let it heat for a minute or so, open door and put a bread piece on the sheet. Shut the door, It should puff up after a couple minutes. Let it bake for several minutes. Turn it over using an ovenproof utensil such as tongs or a pancake turner, brown both sides. Remove from oven and again, the bread in this stage is super hot, even the escaping steam can burn you so use caution!